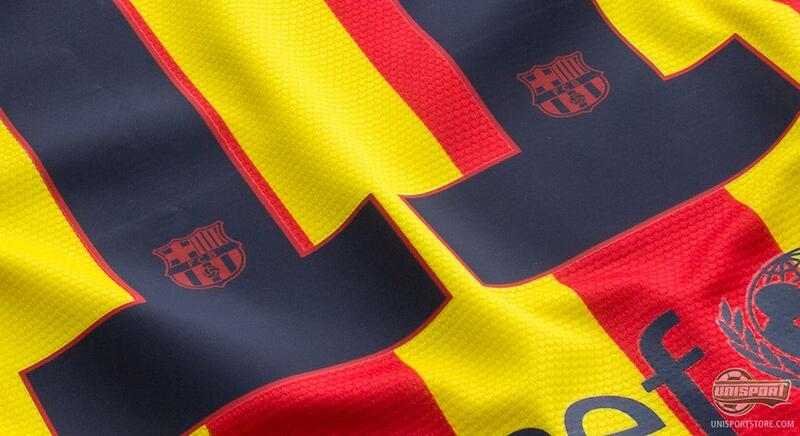 Barcelona's new superstar Neymar Jr. will in the coming season be wearing the number 11 and how that looks on the brand new Barcelona away-shirt, we will look into right here. If you had to pick one player who stood out as this summers biggest talking point, then it probably would be Neymar Jr. The pacey Brazilian stole everyones attention, first by signing with Barcelona and then next, at the Confederations Cup, showing exactly what he is capable of. He looked to be in a great footballing mood and spellbound fans with breathtaking dribbling ability and spectacular goals. When you are that good, have an instantly affable charisma and you're a newly unveiled player in Catalonia, then it is not hard to see why so many of you have been eagerly waiting for his number to be unveiled. It has been on the cards for some time that he would wear the number 11, but now it is finally officially and all the Blaugrana fans can order their shirts with peace of mind. We have already looked at the printing on the home shirt, but we couldn't resist showing you the new away shirt with Neymar printing on it also. Therefore we have added the official blue printing on the yellow and red Catalan colours, which really completes the look of the proud substate. 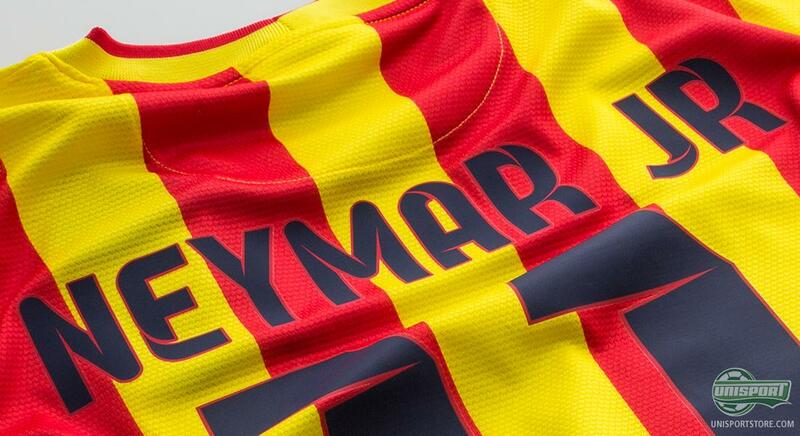 Will you be getting the new away-shirt with Neymar Jr. on the back? You can already now order it right here  prices start at just 77. Barcelona's away shirt is, for the first time ever, made with the Catalan national colours. 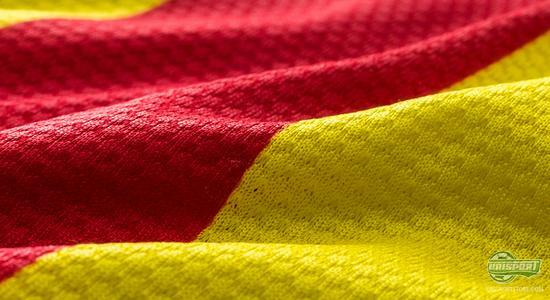 The stripes are inspired by the Catalan flag, Senyera, which features in several ways on the shirt. Apart from the design of the shirt, it is very much alike the home shirt, bar the fact that the away-shirt has a round neck rather than a V-neck. The shirt is, with its just 150 grams, 23% lighter and 20% stronger than its predecessor. It has also been made more aerodynamic and given a more streamlined fit, so it sits tight to the body, but with an elasticity, to keep it comfortable. 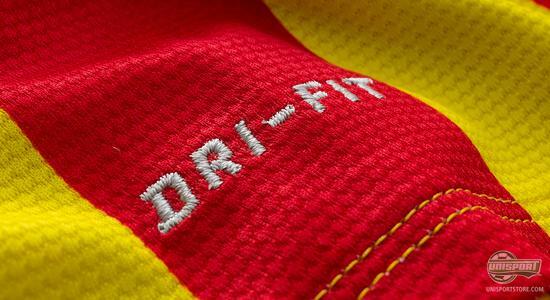 The shirt is naturally also made with the Nike DriFit-technology, which transports sweat and moisture away from the body, so you are kept dry and cool. 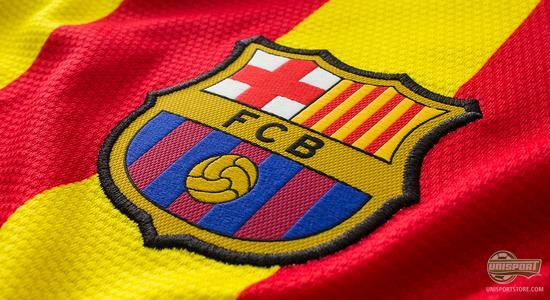 It will be exciting to follow Neymar and his continued development in the coming season, as he tries to help Barcelona retain their La Liga trophy and conquer the Champions League. 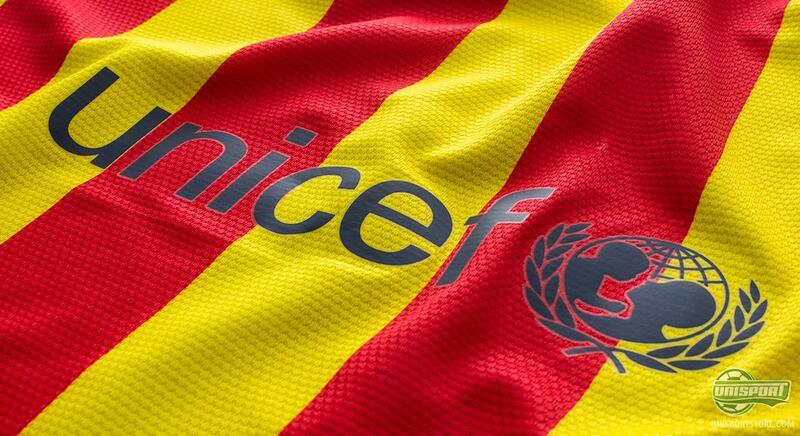 What do you think about the new away shirt with Neymar on the back? And do you think Barcelona can keep the pursuing Real Madrid at bay? As always you can tell us in the comment-section down below, or on Facebook and Twitter.